I want to offer ARcTic posts as a way to promote talented emerging and established artists and to share God’s word visually through art. The art that I will feature may or may not have been created from a Christian-minded artist. I want to share it here; to appreciate the work created as well as the talent that the artist demonstrates, always from a Christian perspective. Patrick Bornemann, “globe trotter and world citizen”, has put his talent to good use and his discipline has resulted in great art. 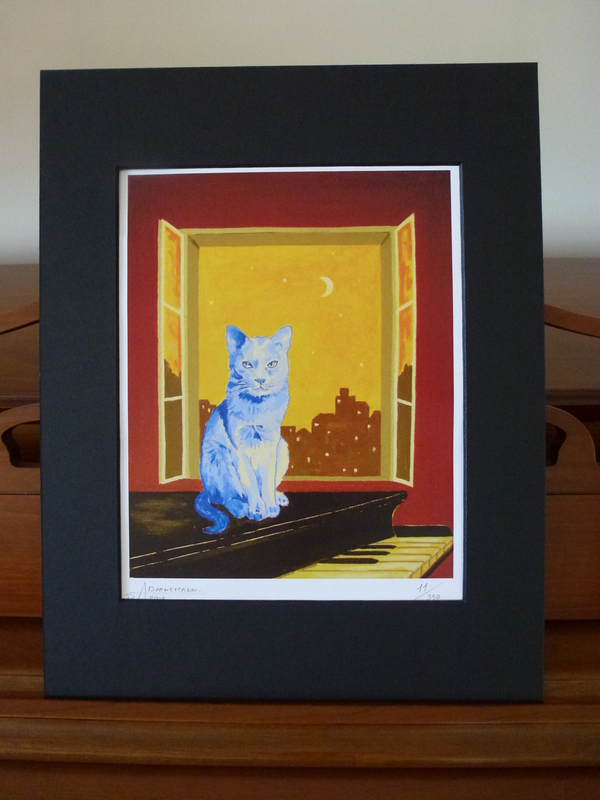 He currently resides in San Francisco and makes his art available at his Etsy store, Art California. 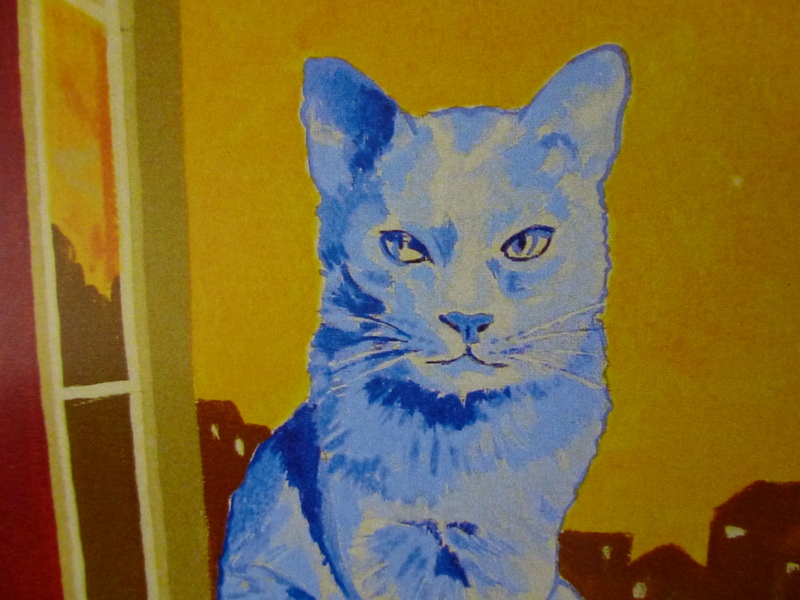 His works are alive with color and I was instantly in love with “The Blue Cat”. Originally done on canvas, this print is captivating. PATRICK BORNEMANN was born in Africa, raised in Europe, and currently lives and works in California. Residing on these three continents has made him a multi-cultural artist. His artistic training was accomplished in Marseille, Nice and Venice. While living in France he worked for the French government as a teacher for “The Council of Architecture Urbanism and Environment”. He later worked for the government of Monaco as a scenic artist for various international venues. His medium is all natural pigments and his paintings have been sold in auction houses in Paris and Monaco. He is referenced in the International Art-Price. I paint what I see with a magnifying glass and I play with colors. I paint people and places that I love. I paint both with fantasy and reality. I love painting on large size canvases, and I produce only when I am happy. If you are interested in purchasing any of the artwork featured on this ARcTic post, please contact the artist directly. 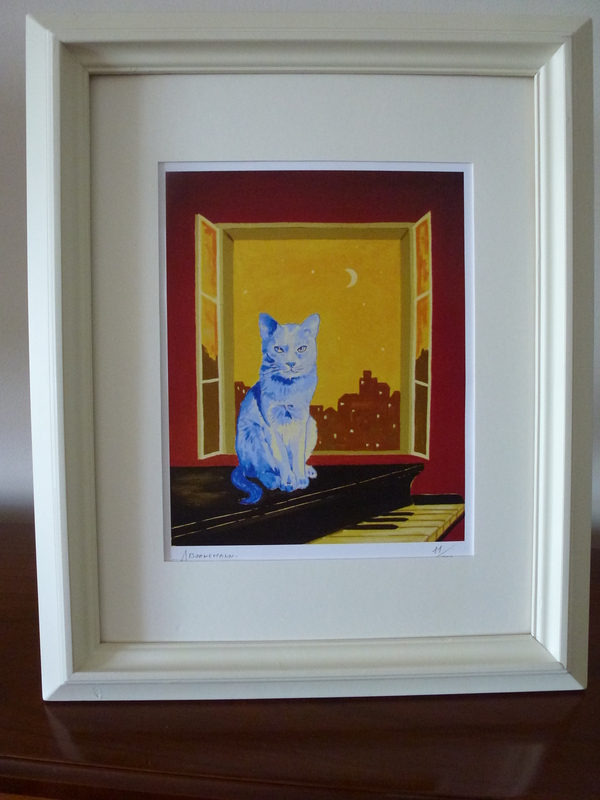 I’d like to thank artist Patrick Bornemann for his participation and for print #11 of “The Blue Cat”.